Live in DC and ride the bus, rail, streetcar, or Circulator? 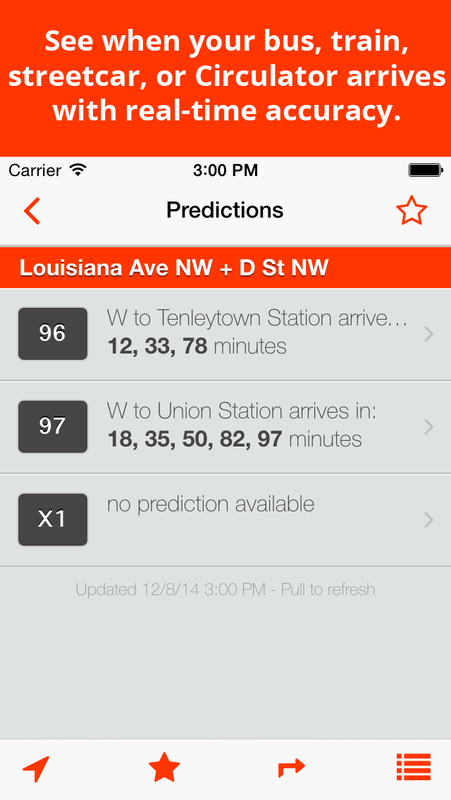 BusTrackDC tells you when the next one arrives! Now with the streetcar -- FREE for iOS9 and Android! Click here for iOS and here for Android! 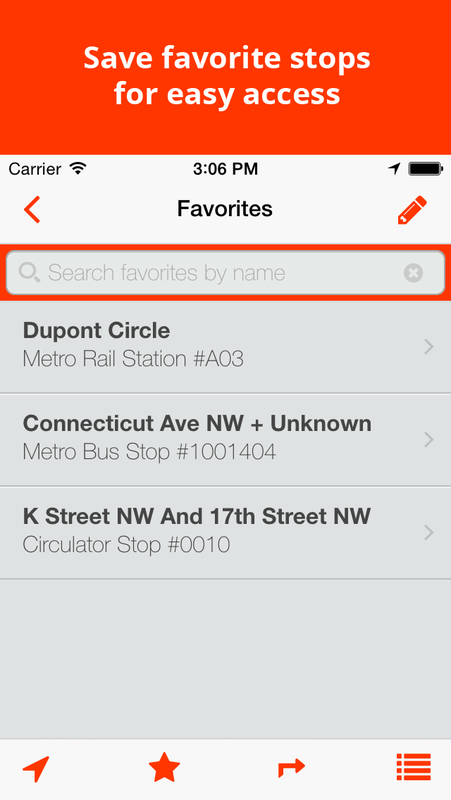 Where's the nearest Metro bus, Circulator, streetcar, or Metro rail stop? When's my bus or train coming? Can I make it from here to there on public transit? Is that bus or train going my way? Find out in real time with BusTrackDC. 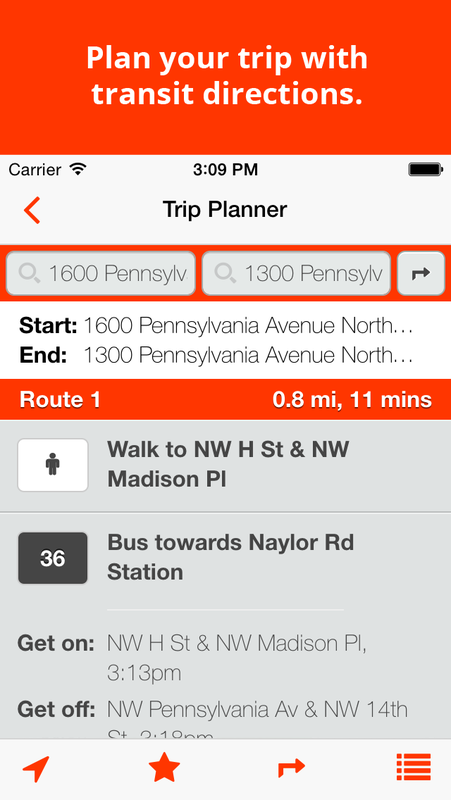 Plan your trip with transit directions, save your favorite stops for easy access, or search for route maps! 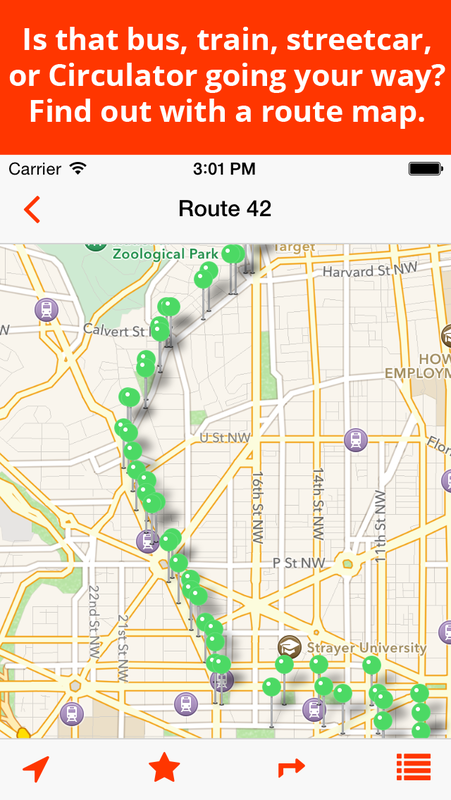 Click here to download BusTrackDC for iOS from the app store -- FREE! Click here to download BusTrackDC for Android from the play store -- FREE! 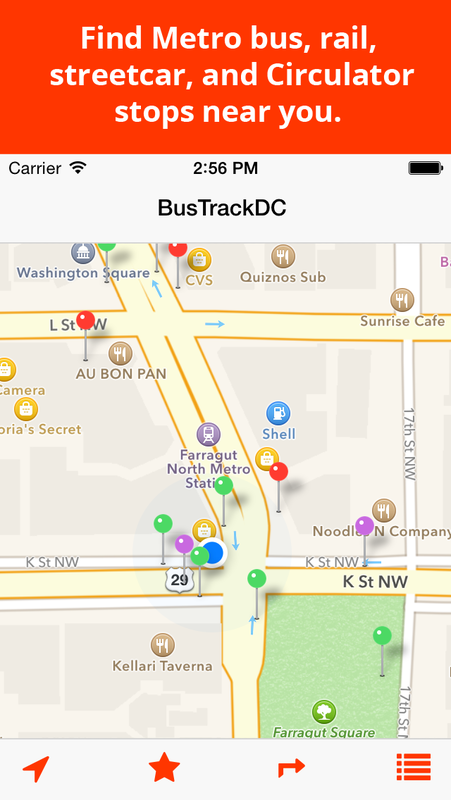 I take the bus and train to work and I made BusTrackDC after my favorite app stopped working. I hope you find it as useful as I do! If you have suggestions or bugs to report, email me at seminal@theseminal.com or report them in our issue tracker here. This software is free and open source -- download the source below or check out the repository on GitHub.